Front row: Matthew Gibson, Tara Watson, Ralph Bradburd, Quamrul Ashraf, Stephen Sheppard, and Sara LaLumia. Second row: Neal Rappaport, Sarah Jacobson, Matthew Chao, and Gerard Caprio. Third row: Peter Pedroni, Jon Bakija, Lara Shore-Sheppard, William Gentry, and Steven Nafziger. Back row: Mikael Svensson, Ashok Rai, Peter Montiel, Will Olney, David Zimmerman, and Kenneth Kuttner. 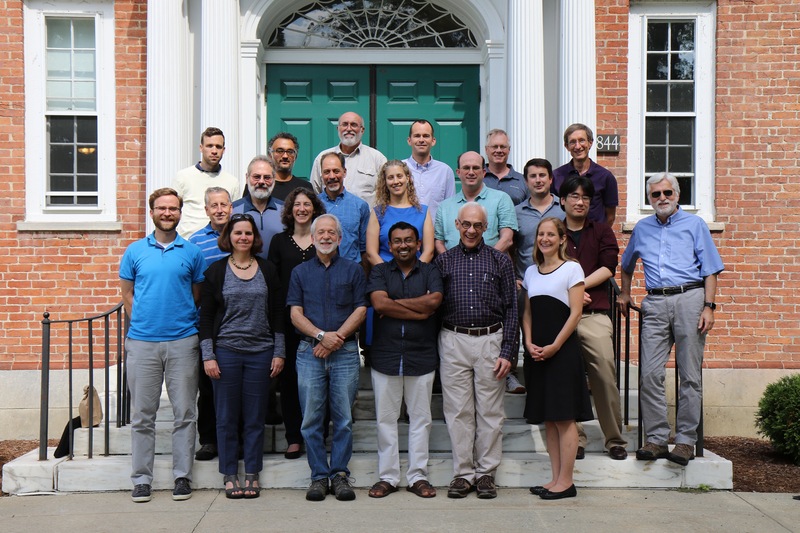 Faculty not pictured: Michael Samson, Lucie Schmidt, Greg Phelan, Anand Swamy, Susan Godlonton, David Love, Roger Bolton, Michael Fortunato, and Peter S. Heller. Economics is one of the most popular majors at Williams. We offer a diverse and innovative curriculum, and we’re a leader among U.S. college economics departments. With more than 25 active faculty and a focus on both teaching and research, we also operate the Center for Development Economics, which offers a one-year master’s degree in policy economics for early-career public servants from developing and transitional countries, and we contribute to Williams’ interdisciplinary Political Economy program. Read more here. Students who are evaluating career options in economics or who may have wondered what types of professionals utilize economics in various fields will find this brief educational video, developed by The American Economic Association, to be relevant and interesting.